Clamping shelf rack has a rubber-lined clamp to hold components securely. 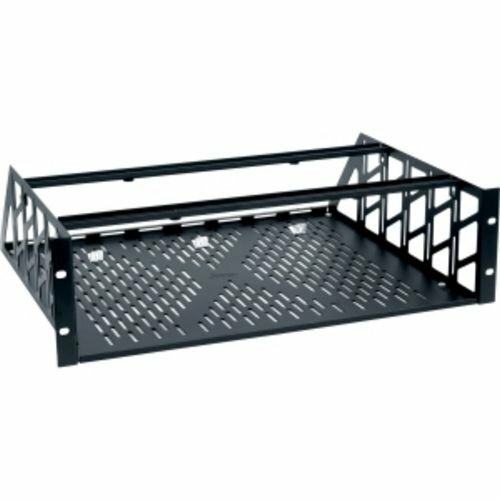 The Middle Atlantic RC-3 Clamping Rack Shelf is a universal 3-space rack mount for non-rackmountable gear. 2 adjustable clamps hold items securely in place.